FAQ: Can Water from an Upper Apartment Backup into Lower Floor Apartment Drain? When you have a condo sink backup or an apartment drain backing up, it can be a harrowing experience. When clogs and root infiltration block the drain pipes, black and greywater can backup into the drains, and these clogs often affect the lower units first. Here’s why. 1. Can Black and Greywater From Upper Apartments Backup into Lower-Level Units? If you live in an apartment or a condo, you might be wondering if the wastewater from upper-level units can cause a condo sink backup in a lower-level unit. The short answer is yes. However, the clog causing the drain backup is likely located beneath the affected apartment. This means that when the upper-level units discharge wastewater, that water is stopped by the pipe blockage. Since the lower unit is closer to the blockage, those drains will backup first. 2. How does plumbing work in an apartment building? Plumbing systems in apartment buildings and condos contain multiple types of plumbing pipes, including vertical stacks, branch lines and horizontal pipes. All of these different types of plumbing pipes work together to ensure your drain lines drain. Vertical stacks consist of soil, vent and waste stacks as well as leaders. Multiple apartments or condos are often connected to the same vertical stack. Leaders are vertical stacks that only carry rainwater from the roof to the stormwater drainage system. Soil stacks are typically connected to toilets and urinals as well as dedicated water closets. Vent stacks only have one purpose and that is to balance the system by releasing trapped air. Waste stacks are connected to fixtures that do not contain human waste. These can include bathroom and kitchen sinks, bathtubs, showers and washing machines. Branch and horizontal lines help funnel wastewater into the sewer system. 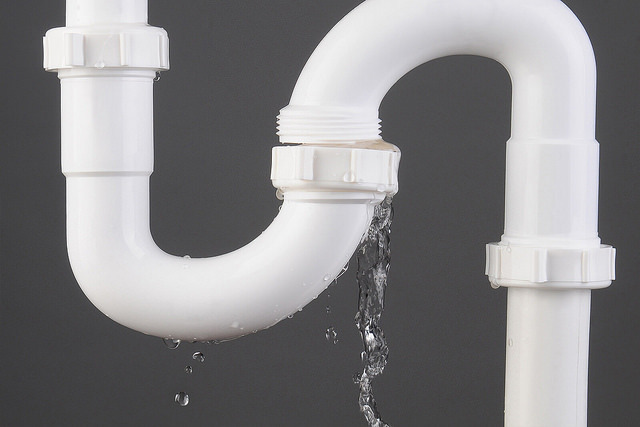 Branch drain lines connect water-using fixtures, like sinks, bathtubs, toilets and urinals, to the appropriate vertical stack. Horizontal drain lines are typically run underground and under concrete slabs. These lines funnel the wastewater into the city’s municipal sewer system. 3. What are the reasons for an apartment drain backing up? Apartment and condo drains can backup for a variety of reasons, including grease and food particle clogs, tenants flushing or dumping drain clogging materials down the drains, like paper towels, facial tissues and sanitary items, and root infiltration or pipe collapses. 4. How do I keep my drain lines flowing smoothly? The first step in ensuring that the drain lines in your condo or apartment building flow smoothly is to educate your residents. Drain lines are not designed to handle every liquid or solid substance. Grease, oils, fats, meat scraps, fruit and vegetable rinds and eggshells should never be put down drains. The only items that should be flushed down toilets are toilet paper and human waste. Toys, paper, facial tissues, paper towels, hobby supplies and sanitary wipes should never be flushed down toilets. The second thing you should do is have your drain lines regularly inspected and hydrojetted. Having your drain lines inspected can catch partial clogs before they start affecting your wastewater drainage system. Having your drain lines hydrojetted once or twice a year can maximize water flow and remove clog-causing debris. If your vertical stacks or horizontal drain lines are corroded or in disrepair, pipe lining can help restore the structural integrity, maximize the internal pipe diameter and keep the wastewater flowing into the municipal sewer system. During the pipe lining process, your drain lines are hydrojetted and prepared to accept an epoxy soaked pipe liner. The liner is then inserted into the pipe, inflated and left to cure. Once the installation and curing processes are complete, the pipe liner is as hard as a new pipe, and all the cracks, leaks and pipe collapses are sealed. This restores your drain lines and helped keep your wastewater flowing smoothly. 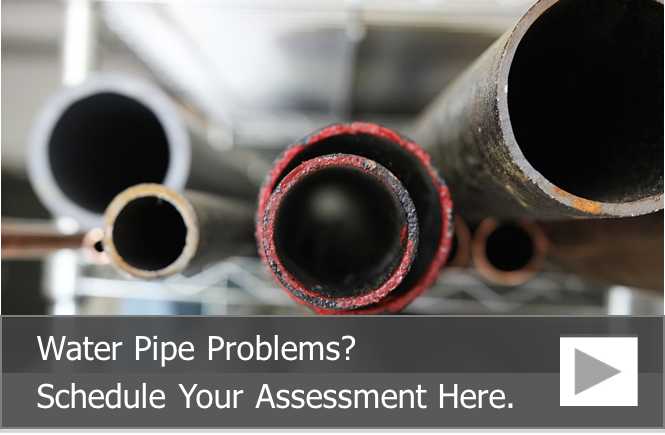 For more information on pipe lining and how it can help you optimize the function of your drain pipes, call us at 815-790-9000.